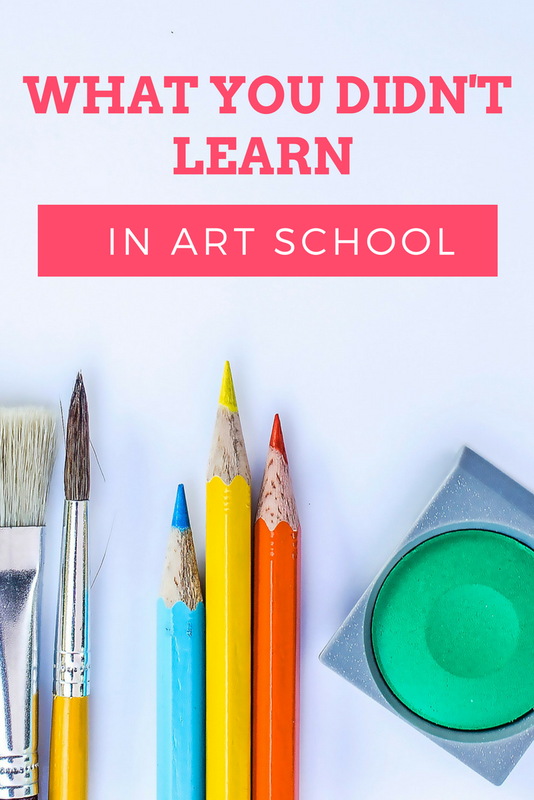 Art School Doesn't Do What?! I’ve got some beef with art school. There. I said it. I mean, don’t get me wrong, art school was nothing short of amazing. It was some of the best memories I have. I learned a lot from some really talented teachers and peers. I don’t know what your experience was like, but for me, it was a very positive and encouraging environment. You’ve worked alongside some of the most creative people you’ve ever met all celebrating the individualistic ways we see the world and how we process and represent that information. Your ego is stroked. Your heart swells. You dream big. And then upon graduation you are released to the world. So if it was all amazing, what’s my issue? Let’s cut to the chase. There’s one core class missing from the art school curriculum. Sure there’s learning how to draw, paint, sculpt, etc., but what about…drum roll please… Marketing? I’m serious! Where the heck is the marketing class!? Guess what. I wasn’t. For a while. I failed twice before. After two years of soul searching and art attempting, I waved my white flag and decided to fall back on my “safe degree” and got an office job. I worked in advertising for 7 years. I met my husband, got married, and reached my ad agency burn out. Now that I had the safety of health insurance (I like to play it safe), I decided once more to try and start my art business and dove in head first. I didn’t realize it while I was in the midst the cubicle life, but those 7 years in advertising were life changing. In an inadvertent way, managing my clients businesses, taught me what is needed to actually be a business and what is necessary to run a business. I spent the last 4 years talking to artists. I’ve listened to their complaints, struggles, and successes. When we would talk about their qualms with getting their business off the ground, I would suggest things and realize a majority of the people, who I spoke to, didn’t understand the world of marketing. They understood the world of making, but once the product was made most of the people I talked to didn’t know what to do next. Examples being; they started an Etsy, but couldn’t sell anything. They built a website that accumulated zero traffic. They made an Instagram account, but couldn’t get followers. They got into art fairs and couldn’t break even. This is when it dawned on me... there’s something wrong with the art school system. They teach you everything you need to know about making art, and yet teach you nothing on how to run an art business. Did you know that a large percentage of businesses fail within their first year because they do not have a marketing strategy? That’s pretty major. If you’re a business of yourself, and you don’t know how to market, you’re basically setting yourself up for failure. You’ve failed even before you started. Marketing is a big complex machine. Over time I will be writing tid-bits of what I learned in the big advertising world and how it can relate to your handmade business. Stay tuned to learn more!